High-rise living laid to rest by Safedem. Cumbernauld’s last two tower blocks are being reduced to rubble, making space for more than 130 new homes. 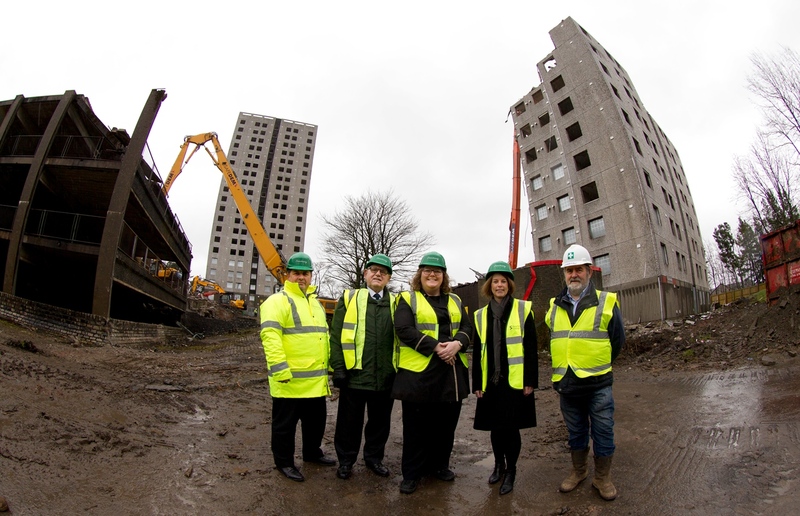 Safedem’s demolition of Stuart House and Elliot House in Burns Road by high-reach excavator marks the end of more than 50 years of high-rise living in the town. Posted: March 27th, 2019 under News.